Pienza Cathedral holds a special place in the minds of the locals. During your time here, you will cross paths with many fellow explorers who have also come to check out this popular icon. 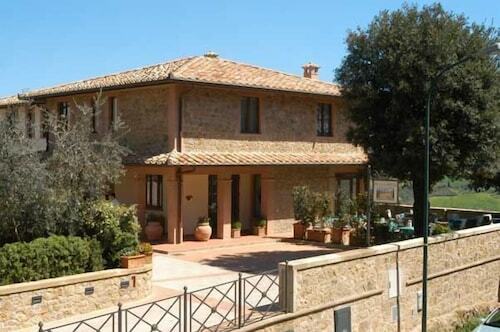 It's in Pienza, roughly 90 miles (145 kilometers) outside of the national capital, Rome. 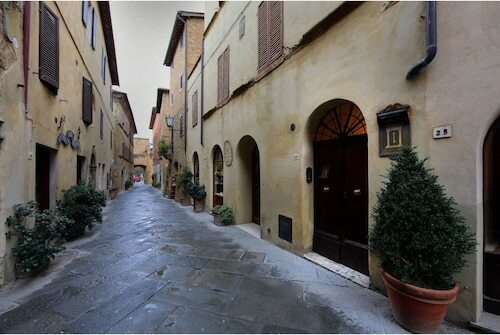 For quick and easy access to Pienza Cathedral, take a room at one of the 13 hotels that are a short commute away. 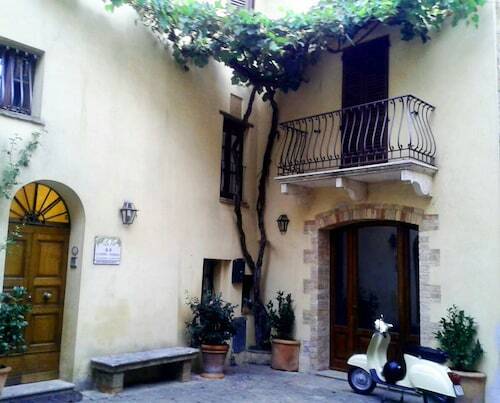 The Hotel Corsignano, the Piccolo Hotel La Valle and the Hotel Relais II Chiostro di Pienza are a few that are popular, and they are just 0.2 miles (0.3 kilometers), 0.1 miles (0.2 kilometers) and 0.1 miles (0.2 kilometers) away, respectively. Earth is a big place, so sometimes it is smart to stretch your travel budget. There are a number of hotels close by that can help you do that. 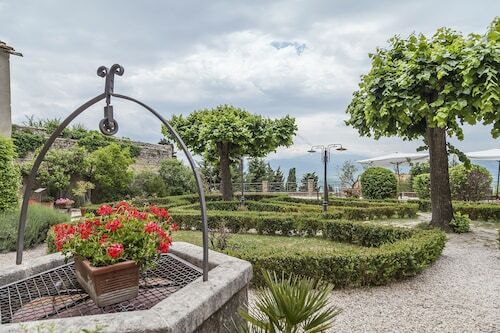 Ever thought about giving the Antica Locanda a shot? It's only 0.07 miles (0.11 kilometers) away. 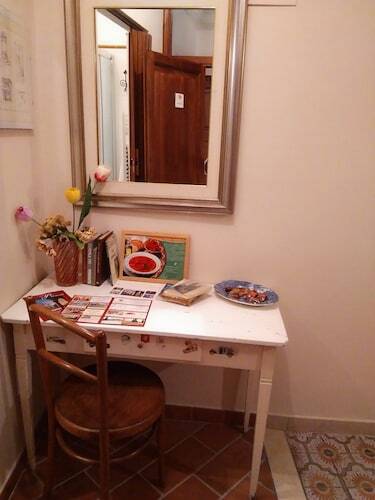 A second choice is the Albergo Rutiliano, 0.3 miles (0.5 kilometers) away. You hear some people say the best things in life should be free. That is up for debate, as the deluxe establishments available here will no doubt create some lasting memories. The Adler Thermae Spa & Wellness Resort and Hotel Osteria Dell Orcia are perfect choices that are worthy of your consideration. Treat yourself to a break from your overflowing itinerary and treat yourself to a hot drink at Idyllium (Via Gozzante, 67, Pienza.) Your belly will love you when you eat at Sperone Nudo, Piazza di Spagna, 3, Pienza. No matter if you're an avid historian or not, you'll appreciate the beauty of Palazzo Borgia, some of the most visited historic sites. Stroll through Piazza Pio II, and try to visualize what went on at this historic square hundreds of years ago. 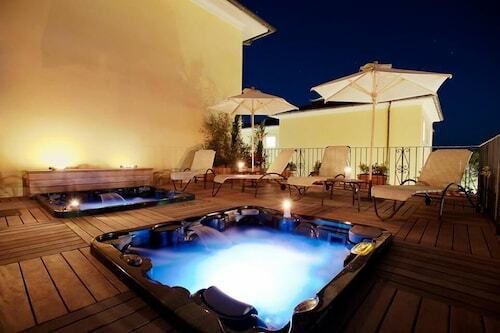 Get friendly with some of the locals at Palazzo Vescovile, and get better acquainted with the region. Visitors are always awestruck by Palazzo Comunale, a culturally and aesthetically fascinating local attraction. Even if you don't arrange for a tour of Palazzo Piccolomini, this beautiful landmark is well worth admiring from the exterior. 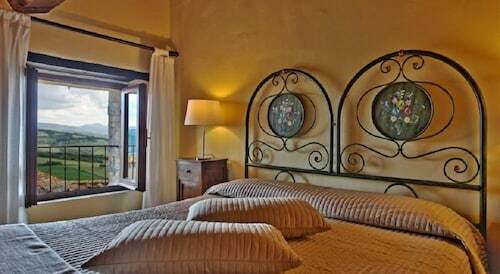 How Much is a Hotel Room in Pienza Cathedral? 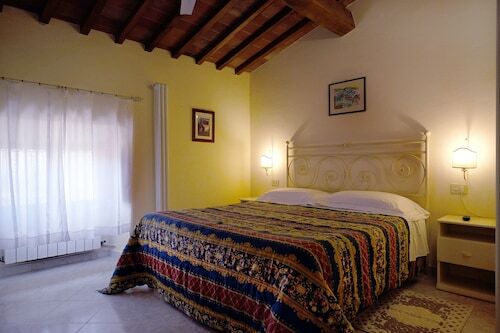 Hotels in Pienza Cathedral start at $49 per night. Prices and availability subject to change. Additional terms may apply.